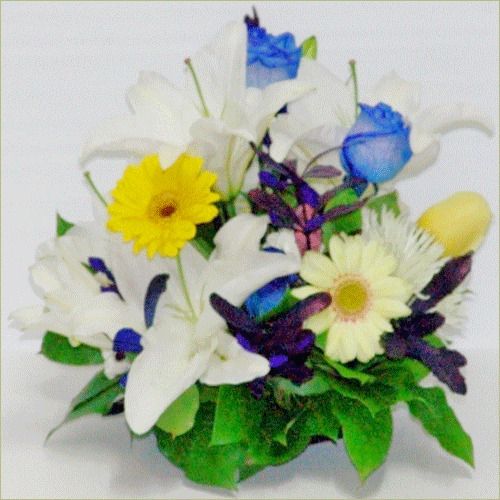 A combo of integrifolia, blue and yellow roses and gerbera daisy , this centerpiece is heaven-sent! Like winged beauties, the casa blanca lily will flutter into your visitors’ hearts! Standard arrangement includes 10 stems. Premium arrangement includes 16 stems.